Why Do I Need to Know about Breathing? Ignore anything you have seen in the movies, where the woman pants for about a minute and then miraculously pushes a huge and very clean (probably 4 week old) baby out! If you pant in and out very quickly, you will run the risk of hyper-ventilating and making yourself feel sick or faint. 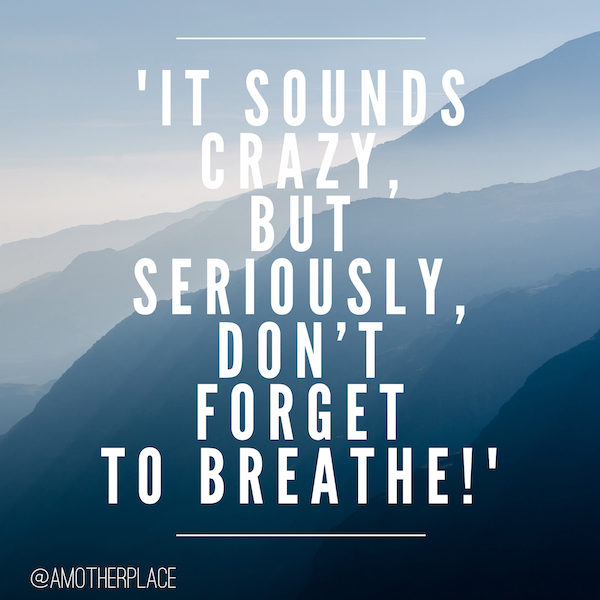 It may seem foolish or obvious to tell you to concentrate on your breathing or not to forget to breathe, but when you are in pain, you may find yourself wanting to hold your breath. If you really concentrate on your breathing you may find that you go into some kind of “zone” or at least get yourself into a very focused state. Some women find it helpful to find an object and stare at it. Others close their eyes and just think about breathing in and out. You will quickly see which of these works for you. You may want to hold your partner’s hand or bite down on the Entonox (Gas and Air) machine, or both. When you feel a contraction coming, give a deep sigh outwards, then begin to breathe in deeply through your nose and out through your mouth. Try to do this as evenly and calmly as possible. As your contractions get more painful you may find that your breathing becomes faster and more shallow, so really try to concentrate on keeping it slow and even. 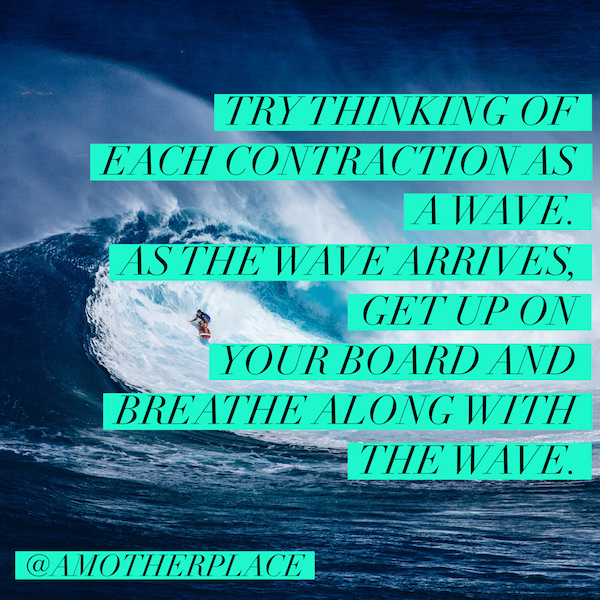 It may sounds naff, but each contraction is bringing you one step closer to your baby being born, so, if you can, try to think of them in a positive light! The longest that any contraction is likely to be is about 60 seconds. Try to remember this when the pain is excruciating, it will stop soon! Betty Parsons, the Childbirth Guru of the 70s, used to say “Try thinking of each contraction as a wave. You have a surfboard. As the wave arrives, get up on your board and breathe along with your wave. No matter how big and painful the contraction, once it’s gone, it’s gone and will never return. Your wave has taken you nearer the shore. Relax and wait calmly for the next one with your trusty board” ! Come and join us on Instagram– we are always chatting about something interesting and you find tonnes of likeminded women going through the same thing as you!